This investment will accelerate your learning curve. 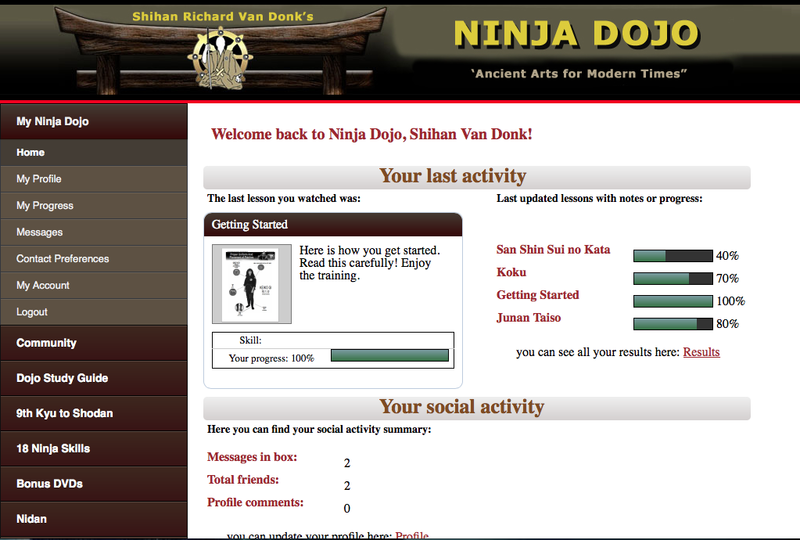 Get this MASTERS Binder Course and we will grant you LIFETIME ACCESS "Ninja Dojo Online" for FREE! 7 Complete Courses! Taking you from Beginner to Master. That’s right you get 7 Complete Courses! 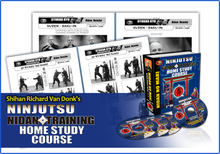 Includes 43 Dvds, 14 Cds, 6 Manuals, 2 Books, 1,782 study pages, 4 Patches, 3 certificates, LIFETIME NINJA DOJO ONLINE- Ninja Vault Acess and 2 great Personal Training bonuses! You save over $1,000. 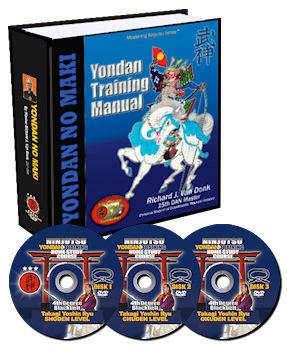 It is a knock out deal plus you get the ever growing Complete ONLINE VERSION in addition to the hard copy Saving 30% and you have a University study of NINJUTSU/BUDO TAIJUTSU at your finger tips at any time you want it. 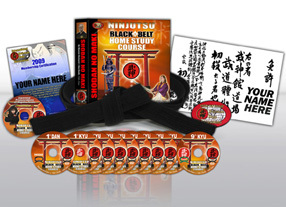 YOURS FOR ONLY $1997- (reduced price) for at least 25 years of Ninjutsu training material… Less than one trip to Japan. A great investment! 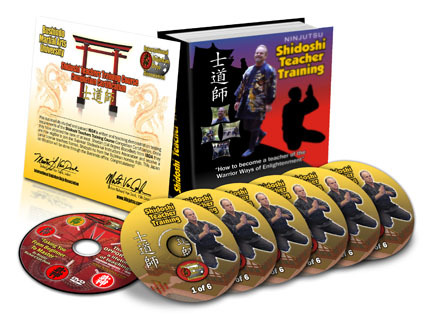 This course, beginning with being flexible and at the same time having access to all educational material from beginner to master, is a testament to how powerful and well balanced this masters course is. With my own learning plan, I purchased this course at an amazing price and am now able to begin my studies on my own time and my own pace. What an exciting journey I am about to embark on!